Classic edelweiss on rustic leather. 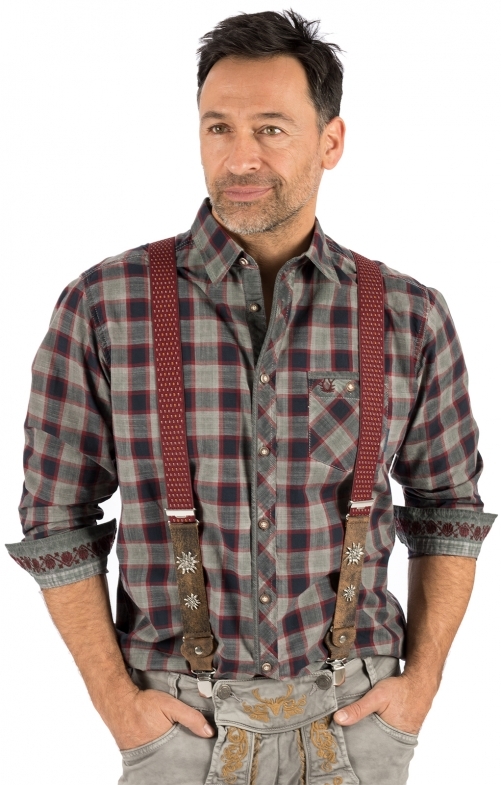 Our vintage braces present themselves with rustic brown leather in antique look and red patterned linen. They can be adjusted in length and attached to the front waistband using two metal clips. There is a metal clip over the buttocks. Especially beautiful are the metallic edelweiss flowers which adorn the leather at belly height.